With the internet came so many things, most of them perfect for business. One such is social media. Right from its early days, it was the rave of the moment and millions trooped to register their presence on the various online communities. And what better place to sell whatever product you wants to sell than the place where everyone wants to be. So let’s learn how to grow your Instagram account, organically and effectively. Countless businesses trying to establish their online presence are scrambling to get seen on Instagram and it’s not hard to understand why. With up to 800 million users, Instagram is definitely one of the best to be, and be seen. it’s a massive world of its own and being able to leverage it will do your business a lot of good. But like every great opportunity, there is a snag you don’t just go up there and start displaying your products to millions of people on the very first day. You need followers and getting them in sufficient numbers isn’t exactly an easy task. Millions of people struggle to grow their Instagram account and grow to get the attention they so much desire for their business but only a few ever really get what they want. It might seem difficult but it is absolutely possible. Bear in mind that growing your Instagram about isn’t just about increasing your number of followers but creating a strong and visible online presence even with your existing customers. The idea is to be noticed so you don’t want blind followers. That said Here are 7 tips to help you grow your Instagram account. So how bad do you want to grow your Instagram account? There is one way to find out. How often do you post? It doesn’t take a genius to understand how important posting on Instagram regularly is. It’s pretty simple. The more often your posts appear online, the more likely it is that you get more followers. Unless you are a celebrity, whose name alone can get him thousands of hit even without posting a single picture. You will find out that it is absolutely impossible to grow your Instagram if you do not post regularly. 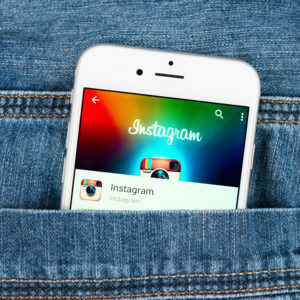 For optimum results, it is expected that you post on Instagram at least once per day. When it comes to growing your account consistency is the key, it’s like sowing a seed. The less you plant the less you will harvest at the end of the day. So if you want to grow your brand and get rated better on google analytics, then you need to post more consistently. It is very important that you don’t just post, but that you focus on posting contents that will keep on engaging your fans, clients, and customers and boost the image of your business. There are some few tricks to learn here. For one, you should know that video contents engage your follower much more than mere pictures. Using Instagram live video options puts you right at the top of your follower’s feed list and helps you get noticed faster and more often. You should also try to find out which time of the day, or which day of the week your followers are more active and try to target them with your posts. You can do that by using the Instagram insight function or other analytics tools to find out when exactly your fans are more active online. With the exception of Twitter, there is perhaps no other social media where hashtags have attained so much significance. Using the right hashtags is like getting up on stage around which everyone is gathered already. It’s no doubt one of the best ways to get noticed on the platform. It is a confirmed fact that posts that are come with hashtags and location tags perform better than posts that are left bare. However, it is not just enough to load your post with a lot of hashtags, (even though Instagram gives you the chance to add as many as 30 tags on a single post) what is much more important is that you duly research and find out which tags are making all the waves online and getting in on the cheese. Even when you have been having issues with coming up with related hashtags for your posts, there are a number of tools such as Focalmark and AutoHash will help you generate hashtags for your posts. Trying to push your online presence and growing your Instagram account doesn’t necessarily have to be a one-man battle. You will be interested to find out that there are countless others just like you looking for ways to grow their account. You can collaborate with people like this either through sponsorship or simple partnerships. You probably know this already but you probably don’t make use of it well enough. The whole internet is one giant web and everything is connected. You are probably on more than one social media platforms and most of the time they are separate audiences even if there are audiences you share on both platforms. You can grow your Instagram account by letting your friends on other platforms know that you are on Instagram. You can share your Instagram posts to Facebook, Twitter, Tumblr and other networks in just a few clicks that way you sort of integrate your various Social media networks together. You can also add an Instagram feed to your website or facebook page or embed Instagram photos to your blog posts. What better way to reach and satisfy your audience better than finding out what exactly they like about you so that you can keep on doing it. Instagram’s analytics tool allows you to do that effectively. You can analyze your previous posts and track your audience impressions about them, discover trends and patterns in what your followers comment on and like and keep on doing this to keep on getting their attention. The final tip to grow your Instagram account posts displayed on your followers feed are sorted based on an algorithm that depends largely on how engaging your posts are. The more engaging your posts are, the more likely it is for people to see it. Asides reaching a wider audience engaging your followers create an impression that you recognize them and can help you win and keep customers. Like and reply to comments on your posts, share posts from your followers and tag them in it, host contests etc. and you see how responsive your followers will get and will also get new ones as well. Hope these 7 tips to grow your Instagram account helps! !